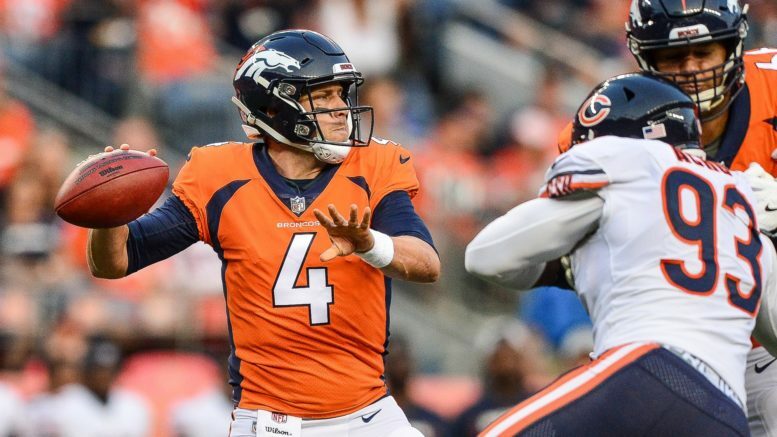 Case Keenum and the Broncos take on the free-falling Bengals coming off rousing wins over the Chargers and Steelers. How ’bout them Cowboys?! All of a sudden, the Boys are in the driver’s seat in the NFC East, but tonight will be their biggest test yet. The Saints are on fire having won 10 straight, but Dallas’ defense might be one of the best New Orleans has faced this year. I don’t know if the Boys can pull the straight-up upset, but I like them to hang tough, if only because at some point the Saints are due to find themselves in a struggle. Fortunately for both teams, they are on normal rest having both played on Thanksgiving. Pick: Cowboys. This Cincinnati team, as bad as they’ve been for ages, seems to find new and improved ways to depress you every week. AJ Green is back but Andy Dalton is done for the year, meaning Jeff Driskel gets the call. The great equalizer is that Marvin Lewis is still employed, and the Broncos should be feeling pretty good about themselves after gutting out wins over the Chargers and Steelers the past two weeks. It’d be a shame if they let down against a Bengals team that has mailed it in. Cincy became the first team since 2014 to lose a home game to the Browns. That about sums it up. Pick: Broncos. This is definitely my reach of the week, but call me crazy, I like the Lions in this spot. Maybe it’s the extra time they’ve had to prepare, or the fact that the Rams could be rusty off their bye week, or that the Lions have weirdly been more competitive against good teams than bad ones in 2018. I’m not expecting the miracle upset, but I could see the Lions hanging around in this one. Maybe I’m too easily influenced by the past, like for example the 2003 season finale when Mike Martz’s 12-3 Rams team waltzed into Detroit against the 4-11 Lions with homefield advantage on the line and got smacked, 30-20. Pick: Lions. This is probably another reach, because the Patriots are unbeaten at home with signature wins over Houston and Kansas City, and the Vikings did lose 27-6 at home to the Bills. But oddly enough, the Pats have lost a home game to an NFC team each of the last three years and are only 9-6 at home vs. NFC clubs since 2011. I really don’t think the Vikings will win this game, but Minnesota is the perfect choke-in-a-close-game-to-break-your-heart patsy that the Pats will find a way to win against. Of course, Xavier Rhodes is likely out, and suddenly Stefon Diggs and Adam Thielen are on the injury report, so maybe it’s just wishful thinking that Minnesota will actually hang around in this one. Oh, well, here goes nothing… Pick: Vikings. This number feels a bit low for a Seahawks team that is rolling thanks to MVP-caliber play by Russell Wilson. The 49ers have basically given up and are winless on the road, completely rolling over to the Bucs last week. This is a game the Seahawks not only need to win, but win convincingly, and I’ll roll with them at home. Pick: Seahawks. Philip Rivers had the game of his life last week, but that was against Arizona. Melvin Gordon is out for a while, meaning Rivers will have to do it all, and that’s never a good proposition against a Steelers team ticked off after losing a game in Denver they felt they could and should have won. Pittsburgh has been on an absolute roll since an underwhelming 1-2-1 start, and as always the knock on the Chargers is that they haven’t beaten anyone of significance yet. Don’t expect this to be the week it suddenly changes. Pick: Steelers. Be the first to comment on "Lucky Week 13: December Football is Here"